Chinese New Year: Its Coming, Is Your Supply Chain Ready? Chinese New Year starts on February 8, 2016. Most retailers are familiar with Chinese New Year because every year their Chinese suppliers and factories shut down for a few weeks. Chinese New Year is a huge celebration for China and many surrounding countries. Workers head home for a much deserved vacation that can last 4 weeks or more, leaving quiet offices and empty factories. That means nothing is shipping and that can result in empty shelves or managing the cost of overstocks- if your Inventory Replenishment software bought the right products. Unfortunately for US retailers who rely on imported goods, this vacation can cause some major hiccups. The dates of the holiday change every year. Some factories are closed longer than others. Most factories are slow to start production even after the holiday is over. The changeable dates of Chinese New Year and the manual nature of import ordering often makes for lost sales or too much frontloading. How can you avoid these pitfalls? 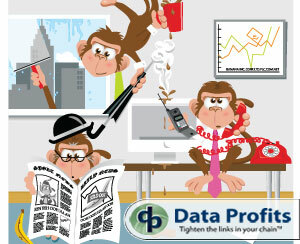 Demand Forecasting on Lost Sales – You missed some sales last year from being out of stock. It happens to the best of us. Unfortunately, many of us are doomed to repeat past mistakes due to outdated forecasting models. 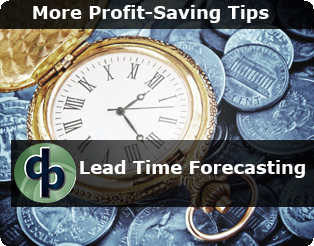 If you are buying to sales forecast, you may be missing lost sales or buying back in to closeout sales. If you have a demand forecasting system that doesn’t use lost sales in the calculation, you will miss those sales all over again. The solution is to use a demand forecasting system that treats lost sales as a key component in the forecast, not just a KPI. Want to know more? Read our recent blog The Unseen Biggest Dangers of Lost Sales. The problems with calculating and utilizing lost sales are not new: inability to determine what is a lost sale, the lack of ability to correctly calculate product/location lost sales, and the inability of legacy systems to use the big data collected surrounding lost sales in the demand forecasting process. Lead Time Forecasting – While your overseas vendors may be delivering perfectly the rest of the year, Chinese New Year is going to cause some major delays. Not only do the dates of Chinese New Year move every year (it can start anywhere from January 21st to February 20th), but with the press of everyone trying to get product shipped before the holiday, the ports get bogged down too. A few delays are to be expected. Do you know how much Chinese New Year impacts your lead times? You probably have some guesses but little hard data. A system that forecasts lead times could dramatically improve your order accuracy all year long, not just for Chinese New Year. Measure Service Level, Not Instock– Chinese New Year comes during a seasonal lull in US retail spending. Having just come out of the Christmas spending spree, many consumers tighten their belts for a little while. This makes deciding how much to buy tricky. A container holds 600 but you only think you’ll sell 150. If you are measuring success on instock levels, you may bite the bullet and buy a full container. You know you are overstocked but can’t risk being out of stock. In reality, buying the 600 is costing you more than a few out of stocks would. Being overbought at a slow time of the year is hurting your turns, your GMROI, your open to buy, and maybe setting you up to miss your bonus goal for the year. A better solution is to measure service level; did you have enough on hand to sell your forecast? You need inventory optimization for the sales you expect to have rather than sitting around on extra inventory just to fill shelf space. If your current demand forecasting and replenishment system can’t let you forecast using lost sales, forecast lead times, or effectively manage service levels, it’s time for a new system. Our iKIS™ SaaS demand forecasting system can help you optimize your inventory levels and forecast lead times to make Chinese New Year a holiday instead of a disaster. Contact us today to learn more. Learn More Copyright © Data Profits, Inc. 2015 All Rights Reserved.